The new venture was inaugurated by Audi India’s head Joe King, in the presence of Pulak Goswami, Chairman, Audi Guwahati. 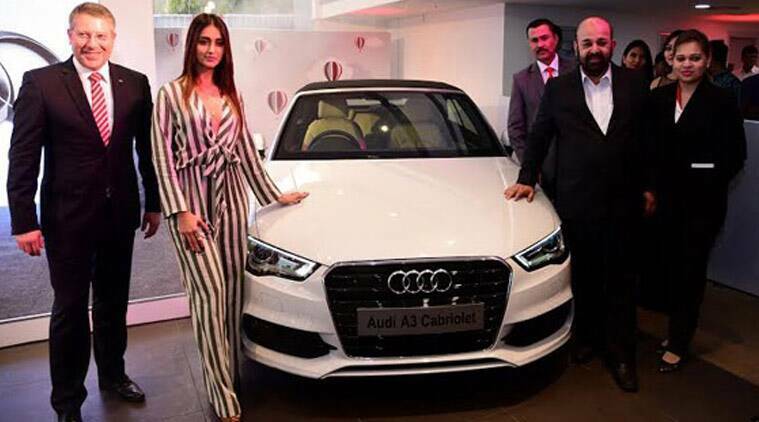 Audi has inaugurated its first dealership in the North-East region of the country as it opened a new showroom in Guwahati, Assam. Located at the NH37, Lalmati, the new outlet will run under the banner of ‘Audi Guwahati’. The new venture was inaugurated by Audi India’s head Joe King, in the presence of Pulak Goswami, Chairman, Audi Guwahati. Spread across over 15,000 sq.ft. of area, the new facility incorporates the showroom area for the display of vehicles, an exclusive arena for merchandise and a service facility, which is spread over an area of 7,600 sq. ft. The service floor includes a dedicated body and paint shop. The aftersales facility is capable of carrying out service of six cars in a single day. With the new dealership kick-starting its operation, Audi is aiming to sell close to 150-200 units per year from its Guwahati outlet. Further, Audi Guwahati claims that it has already received bookings for around 50 units in the region, which going forward is forecasted to get even better. Also, apart from serving customers from seven states of North-East, the Audi Guwahati will also cater to prospective customers in West Bengal, Orissa, Jharkhand and Bihar. Commenting on the inauguration of this new dealership, Joe King said, “We enter a new place only when we see there is a market for us. We expect to sell a minimum of 150-200 units in the first year.